I always find it fascinating when artist can find the beauty in small things and magnify it. 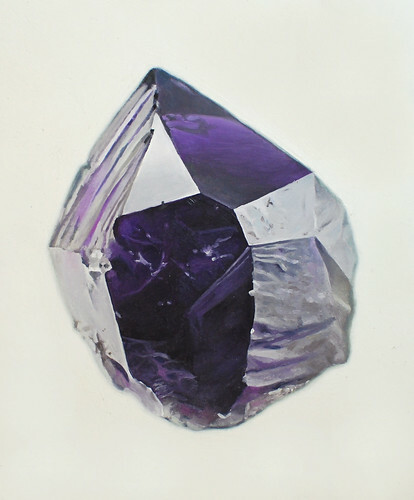 That's exactly what painter Carly Waito does in this super realistic paintings of stones. The intricacy that you can achieve with oil paint always amazes me. Gorgeous stuff! For more of Carly's work, check out her blog!